If you're reading this article right now, you've probably already decided that you're getting your hands on a 40-inch 4K TV. We don't blame you. The best way to experience the newest movies and TV shows and play the most advanced video games is with a 4K TV. They've always got the best picture and are usually packed with a host of valuable features. With that in mind, there's a huge amount of different factors that will determine which of these TVs is right for you. And there are many different great products to choose from too. Looking for something bigger? 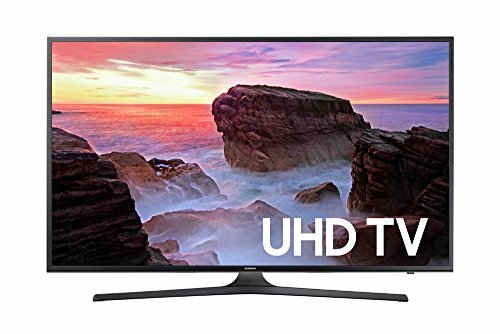 Check out these great 65 inch 4K TVs. Which 40 Inch 4K TV is Right for You? 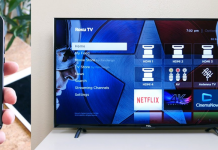 What 40 Inch 4K TV Looks Best? How Much is a 40 Inch 4K TV? How Close Can I Sit to a 40 Inch 4K TV? 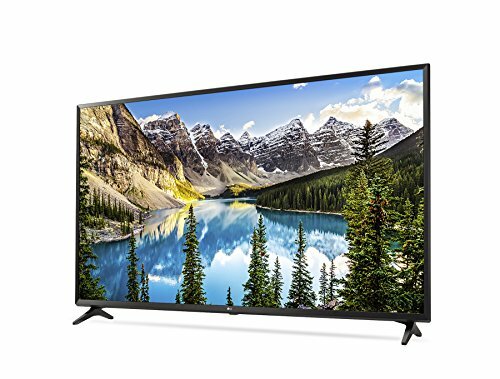 Which 40 Inch 4K TV Should I Buy? Pretty much every major electronics company has a 40 inch 4K TV on the market and each one of them has its own advantages. So let's have a look at some of them, shall we? 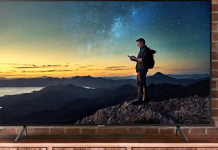 If you are after bigger 4K TVs, check out these 55inch 4K TVs. Gorgeous HDR screen with Essential Black Pro. Motion Rate 120 for those fast-paced scenes. Smart compatibility with a Samsung OneRemote. Local Dimming alongside UHD picture. Premium HDR technology with PurColor. Makes the classics look great with and Upscaling Picture Engine. Spatial Scaling Engine allows for lower resolutions to appear higher. A very strong Motion Rate with Clear Action 240. A strong Smart system with VISIO Internet Apps Plus. This excellent Samsung TV is our Top Pick. It's an Ultra HD (UHD) screen which is a step above regular 4K and it's got an HDR screen for specialized HDR content. The color and contrast are top-notch because of this and there's also technology in here known as Local Dimming. What this basically means is that a huge variety of different areas of the screen and brighten and dim independently of each other. The contrast of this Smart 40 Inch television is bolstered by this feature significantly and there will always be a smooth transition between dark and light images. The Motion Rate is 120. In a lot of larger TVs, this is usually a bit higher but it will probably be more than suitable enough for 40-inch, 39 inches and below TVs. Ideally, Motion Rate would be 240 but we don't think the lack of that takes away from this particular model too much. There's a great feature called Essential Black Pro, which is a part of this particular HDR package and it makes every detail in darker images more pronounced, meaning you won't miss much on account of dark scenes. + Gorgeous HDR screen with Essential Black Pro. + Motion Rate 120 for those fast-paced scenes. + Smart compatibility with a Samsung OneRemote. Why We Liked It - This TV has pretty much everything that you could possibly want out of a 40-Inch 4K TV. Incredible picture with smart compatibility, and its also within a reasonable price range too. It shouldn't come as much of a surprise that both of our top 2 choices are from Samsung. They are one of the leading names in 4K TVs and with products such as this one, it's easy to see why. This amazing 40 Inch TV has also got UHD as well as Local Dimming. It's got HDR compatibility too and another feature called PurColor. This is an excellent piece of technology that prioritizes the colors depending on how bright or dark the picture is. Theres also something built in here called an Upscaling Picture Engine. This will enhance the picture quality of lower resolution content such as old movies or early generation video games. Meaning that no matter from what era the content youre consuming, it will look just as good as new. And this goes without saying for one of our top picks but it is absolutely a Smart TV with Samsung Smart Hub. + Local Dimming alongside UHD picture. + Premium HDR technology with PurColor. + Makes the classics look great with and Upscaling Picture Engine. Why We Liked It - Its an excellent model with all of the smart features youd expect from a 4K TV as well as a few beneficial extras. This 40 inch LED TV is another very strong product that certainly gives the two Samsung choices a run for their money. The Ultra HD TV is here, and although this isn't actually a 4K HDR TV it has other smart features which may make up for that. It's got an LED TV screen with Active Pixel Tuning. This is quite similar to the PurColor feature we've talked about, it allows for individual pixels to be optimized depending on the colors on-screen. This 40inch Vizio has a Spatial Scaling Engine which will transform images of a lesser resolution so that they appear as clear as 4K allows. The Motion Rate on this 40 inch TV is actually higher than the two Samsung models too. The system here is known as Clear Action 240 and so you can expect a smooth, hd resolutions even when there are fast moving images on the screen. 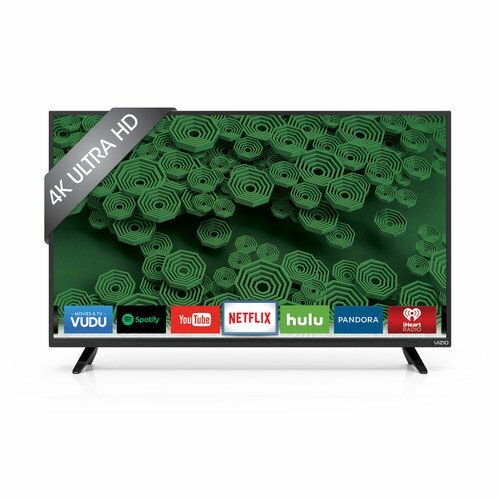 This 40inch Vizio TV is a Smart TV too with VIZIO's exclusive system VISIO Internet Apps Plus which optimizes every streaming app for UHD viewing. + Spatial Scaling Engine allows for lower resolutions to appear higher. + Beautiful LED TV screen. + A very strong Motion Rate with Clear Action 240. + A strong Smart system with VISIO Internet Apps Plus. Why We Liked It - All of the different pieces of technology in this Smart LED TV come together to make for exceptional picture quality and it has an array of inputs and outputs too. LG can never be underestimated when it comes to producing high-quality 43-inch TVs. This one has the 4K Ultra HD that we've talked about with the other models and it also takes 4K HDR a step further. The technology in this 43" 4K Television is known as Active HDR, which optimizes the picture for every specific image that appears on-screen. 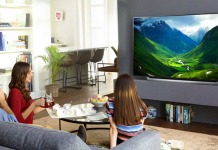 The color system in this TV is called True Color Accuracy, which automatically corrects any color distortion, ensuring that the image quality is as lifelike and clear as possible. Theres plenty of HDMI and USB ports and theres a composite port too if thats something you think would be useful. In addition, the 40 inch TV comes equipped with LGs popular WEBOS technology. The system in place here is the most up-to-date version which is known as WEBOS 3.5. The Motion Rate of this 40 Inch Smart TV is also 120, which as we said is not the most ideal rate, but is satisfactory for most. + Takes 4K HDR a step further with Active HDR. + The color is top-notch thanks to TruColor Accuracy. + WEBOS 3.5 is an outstanding Smart system. + A large variety of inputs and outputs. Why We Liked It - We love WEBOS technology, its a very convenient use of smart technology and makes everything easy to access, plus the excellent picture quality of this Smart LED TV is a big plus. Very similar model here to the other LG product on the list. Its got perfect UHD resolution and also has the full-array LED TV screen. This 40 inch TV has local dimming too, a very useful feature as we already discussed. The Motion Rate is solid, its 120 like most of the other 40-43 inch TVs and there is plenty of inputs and outputs too. Unlike the previous LG model, this TV actually is 4K HDR and has a feature known as Color Prime Pro. Much like PurColor, this optimizes a wide range of colors to create a lifelike picture. Theres also a couple of other smart features here. 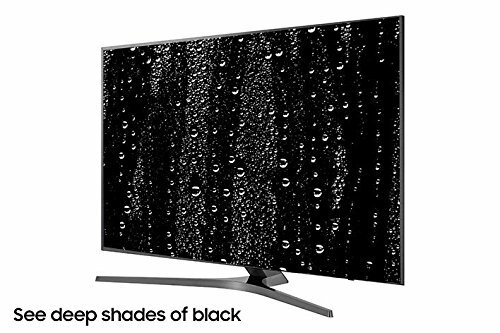 Theres a True Black Panel with anti-glare technology which allows for even the darkest scenes to have the highest resolution. 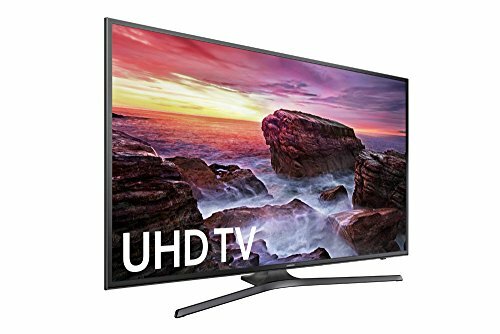 This 40inch TV has a 4K Upscaler too which enhances the detail of every image, regardless of whether it was originally standard definition or high definition. + Color Prime Pro and a True Black Panel. 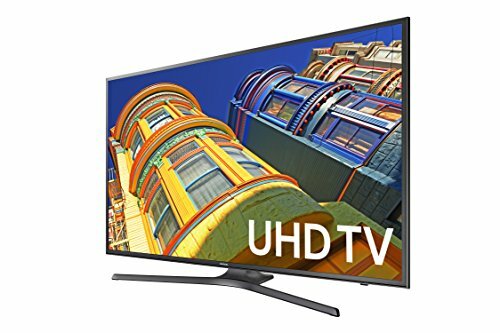 Why We Liked It - Its a very solid 40inch TV with many unique features that come together to make for a strong, high-resolution picture. It comes with WEBOS 3.5 too. If you're keeping track, this is the third Samsung product on our list. Much like the other Samsung TVs, this 40 inch TV is not lacking in the features that make for an amazing picture. UHD resolution is a given when it comes to Samsung at this stage and of course, it's featured here too. Although this 40Inch Samsung not 4K HDR, we have also got PurColor technology so there are fantastic contrast and accurate colors. There's also dimming technology too so you can experience deeper blacks and purer whites in this television's color display. Motion Rate is 120 and it has the most advanced smart system available on a Samsung product. 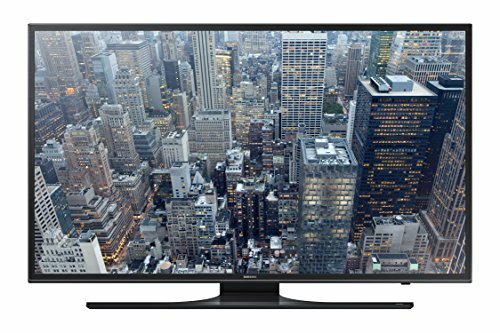 This 40inch Samsung lightning fast online and can be easily connected to and operated through any mobile device. Its got a grand total of four HDMI ports and various other inputs and outputs too. + Very realistic color with PurColor technology. + UHD resolution picture and local dimming. + A variety of inputs and outputs. Why We Liked It - This 40inch TV is a high-resolution smart TV that has enough features to make every image beautiful and to give you plenty of control over how you experience whatever youre watching. This LG 40 inch TV is not the best choice on the market as you can guess from its placement on our list, but it's a good TV nonetheless. The picture is unlikely to disappoint you, it has UHD resolution like most of the TVs on the list and it's 4k and HDR compatible too. In addition to that, it has some other smart features that make for a solid picture. There's Ultra Luminance technology which greatly enhances the peak brightness and contrast ratio. Color Prime Pro allows for a wide range of colors to be optimized which is a huge benefit. You can enjoy WEBOS 3.5, LG's smart platform which we have sung the praises of repeatedly in this article. It's probably the best smart platform available in the TV market now and it's exclusive to LG. This 40 inch TV also has that ever-popular 4K Upscaler so you can experience high resolution now matter how old the content. + HDR compatibility with Color Prime Pro. + WEBOS 3.5 is always a plus. + 3 HDMI ports and 2 USB ports. Why We Liked It - LG always delivers. Its a reliable 40inch TV with a great smart platform and a lifelike, colorful picture. I think at this point its worth thinking about the range of 40inch TVs on this list. This is the last one well be talking about and as such its the weakest. But even if you compare this to our Top Pick, the difference in quality is not huge by any means. This just goes to show you how many excellent choices there is when it comes to these 4K TVs. This 40 inch TV still has pretty much everything you need, with all of LGs usual features in action. Color Prime Pro, the 4K Upscaler, WEBOS 3.5. Its a 4K Ultra HD TV too which is great and has TruMotion 120. Theres also an IPS Panel type. IPS stands for In-Plane Switching and it deals with the viewing angle and color reproduction of the picture. With this panel type, you wont need to worry what viewing angles you watch the TV at because the picture is clear from every vantage point. + Color Prime Pro makes for incredible lifelike colors. + Revolutionary IPS Panel type. 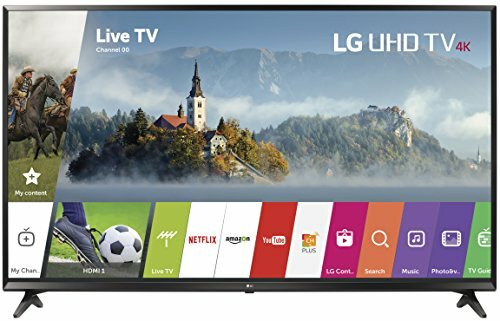 Why We Liked It - This LG 40 inch TV got all of the features necessary to make for an extremely satisfying 4K viewing experience. Before you make a final decision on which of these products you choose, there are many different things that you need to think about. Not everybody is looking for the same thing when they buy a 40 Inch Smart LED TV. Some people want a 4K TV specifically for gaming, some people just want to have a good system in place if they're having people around, and some people are massive movie fans that want a theater-style experience from their own home. All of these LED TVs have different advantages and disadvantages, and like everyone else, you'll have your own personal preference. So let's run through all of these individual factors and get a sense of what works for you and what doesn't. Often abbreviated to HDR, High Dynamic Range is a modern television feature that has become very highly regarded. The vast majority of good 4K Ultra HD televisions will have HDR technology built in. What HDR actually does is give your TV a significantly increased brightness range. A non-HDR TV is capable of displaying a certain amount of detail in both a bright and a dark picture, but HDR takes this to a much higher level. Regardless of what's on the screen, you will have an extremely strong resolution. This means that even when the picture is very dark, you will see all of the small details that you would normally miss with an older TV. If you haven't watched an HDR TV before then the first time is going to be a revolutionary viewing experience. You will probably have a hard time going back to non-HDR TVs afterwards, especially for newer content. The most up-to-date movies and television shows are all developed with the intention to be viewed on an HDR screen. There are massively advanced camera systems out there now and we're getting an increasingly lifelike picture with every passing year. So if you don't have it you will be missing out on a lot of the finer details. Cinema screens are already up to the task of showing you everything but you want to be able to get the best experience while you're at home too. HDR will make that possible. It's also very important for gaming. If you're a gamer you know the very high standard that video games have reached these days. Console games from both Playstation and Xbox are better than they've ever been before. The graphics have reached a point where these games basically resemble CGI animated films. That is of course provided that you have a system capable of conveying these incredible graphics. HDR is that system and you should also consider just how expansive the environments of a lot of modern games are. With as much high-powered technology as the developers have, the more open-world games are going to have many detailed areas for your to explore. With the best TV, you won't miss a second of that. The two primary versions of HDR on the market are HDR10 and Dolby Vision. Dolby Vision is usually the more expensive of the two and found in the absolute best TVs but HDR10 is more than enough to give you a satisfying picture. And when it comes to video games, you probably shouldn't bother with Dolby Vision TVs at all. The PlayStation 4, PS4 Pro, Xbox One X and Xbox One S all use HDR10 as their output so it's all you need for console gaming. So this applies to pretty much every feature that were going to discuss here, but whether or not you want to get a 4K TV with HDR is entirely up to you. As we said before, not everybody wants the same things when they buy a 4K Ultra HD TV but we do recommend HDR so consider it before making a decision. We cannot overstate the importance of Motion Rate. 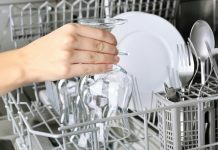 Although it might not be a term that you've ever heard before, when your system is lacking high-quality motion rate, you will know all about it. When we talk about Motion Rate, we are actually referring to the refresh rate and response time of the images on screen. As I'm sure you can easily imagine, a scene from a movie that doesn't involve much movement is not going to need that high of a response time. So when you're watching a more subdued moment on a TV that has low Motion Rate, it's not that noticeable. It's when things start to speed up that you will start to encounter the problems. We think you'll find that the majority of large 4K TVs at the very least have Motion Rate 120. And this is especially common in the 40 Inch LED TVs. 120 is relatively high and we'd recommend that you avoid getting a TV that has a Motion Rate less than this. 240 would be the ideal rate. If the picture is high resolution and fast-paced, this is a situation where Motion Rate 120 would become a problem. And of course, because you've opted to buy a 4K TV, chances are that high-resolution is what you're going to be looking for. Just like we talked about with HDR, modern cameras are capable of picking up some incredible, detailed imagery that doesn't suffer from excessive motion. If you've seen any recent action movie in the theater you've probably noticed this. Watching Iron Man battle an army of aliens in New York isn't exactly a downcast moment. There's flying, there are explosions, there are lightning fast fight scenes, it's all action from the word go. And this is very common in modern blockbuster films and even in a lot of the more high budget stuff that appears on television these days. The production companies spare no expense in bringing you the most exhilarating action possible. You can experience it in the theater of course, but if your 4K Ultra HD TV has a powerful enough Motion Rate you can experience it at home too. Also, if you're a gamer the exact same principle pretty much applies. In fact, it's probably even more applicable because for every slow-paced game out there there's another twenty that are action-packed. First-person shooters, open-world sandboxes and globe-trotting adventures, all of these involve gameplay sequences that will put you right in the middle of high-intensity action. Don't let yourself miss a second of it. And what about sports too? You can't watch Ice Hockey on a high-resolution screen and settle for a blurry experience. Ultimately it's not the end of the world if you go for a TV with Motion Rate 120, but if you're going to be watching or playing anything high-speed, you should consider 240. It's quite hard to imagine using a TV that doesn't have smart compatibility. In fact, we'd say that it won't be too long now before there's one in every home. Much like smartphones, there are so many advantages to having a 40 inch Smart TV that it's hard to argue with making that choice if you're getting a 40 inch LED TV, 4K TV anyway. Having online capability is basically essential for modern televisions. With so many of the best shows and movies being available on at least one of the major streaming services, easy access to all of them makes finding your favorite stream content easy. The vast majority of these 40 Inch Smart TVs will the likes of Netflix, YouTube, Hulu and Amazon Prime readily available from the TV's home screen. Of course, you'll have to have your own account on each of these, but once you do it will be on your TV waiting for you. And you won't struggle to find any other streaming service you need either. There are several different streaming services for a variety of different subjects and areas, and all of them should be available to download free of charge, straight onto the 4K TV. It's also possible to cast' to a Smart TV. For those who haven't come across the process of casting yet, it basically means that if whatever you have loaded up on a phone or tablet, you can display onto a Smart TV that's connected to the same network. In most cases, you can then either control the app or video that's being casted from either your phone or your television with your remote control. There are devices people can get to do this with a non-Smart TV, but the ability is in Smart TVs without the aid of anything but the TV and the device. Some televisions have a more advanced Smart functionality than others. 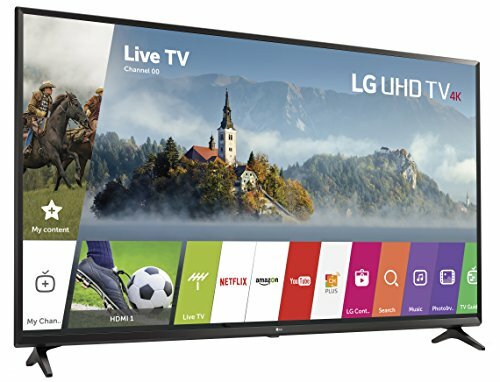 LG, for example, has something called WEBOS technology in most of its Smart TVs which combines every app on the TV in a very easy to navigate Live Menu. This makes it very easy to switch around among your various devices and apps. No matter what you want to use your 4K Ultra HD TV for, smart compatibility is extremely beneficial and definitely something that you should give some thought to. In general, this is not something that will usually cause a huge amount of problems. Television manufacturers tend to be very much aware of the importance of having several inputs and outputs. Keep an eye out for it anyway. You will definitely want to have a few HDMI ports, a really good TV should have maybe 3 or 4. If youve got consoles this is important, especially if you have multiple ones. And then theres BluRay players, cable boxes and other HD devices such as that. If your TV has any kind of smart compatibility such as LG's WEBOS technology that we talked about above, you'll be able to switch between devices very easily. To get the most out of that you'll need enough HDMI ports to cover several devices. In addition to that, you might want to make sure that there are a few USB ports there for external hard drives and the like. You may also want a headphone jack or if you want to power up an old-school device you could make sure there's a composite port. These are not uncommon even on modern TVs so be sure to check before you buy. So as Ive mentioned a couple of times already, the only person who knows which 40-inch 4K TV is right for you is you. You need to take into account what you want to use the TV for, how much you are willing to spend and which of these features you can stand to do without. What you should do is make a list of the things that you know are absolutely essential and order them by importance. Then take a look at our product reviews again and see which of the products gives you the most complete experience based on your personal specifics. Again, some things that we recommend might not be that important to you, but make sure that youve considered everything before you buy. Content on the Samsung UN40MU6300F - B06XGVQYQZ looks the best. The combination of UHD and HDR creates a spectacular picture. These TVs are generally priced between $300 and $500. You can see our favorite TVs below $500 here. For a 40 Inch TV, its recommended that you sit between 6 and 9 inches away from the screen. 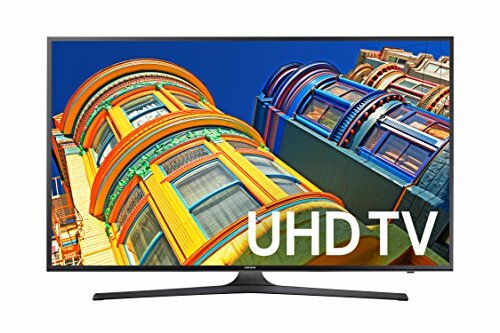 The Samsung UN40MU6300F - B06XGVQYQZ is the ideal 40 inch 4K TV. With thinner screen sizes impeding the performance of the speakers, it would be worth it to invest in a soundbar. This will allow for high-quality sound alongside the already high-quality picture. 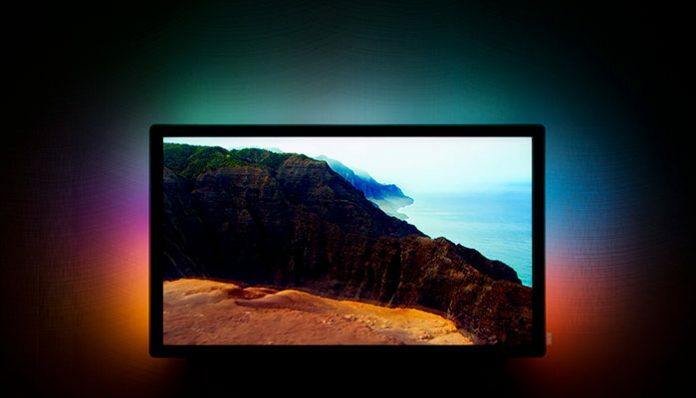 Theres an LCD technology on the rise known as Quantum Dot, which adds an extra panel of lights to a normal LCD screen. This extra layer increases the brightness and widens the color spectrum.